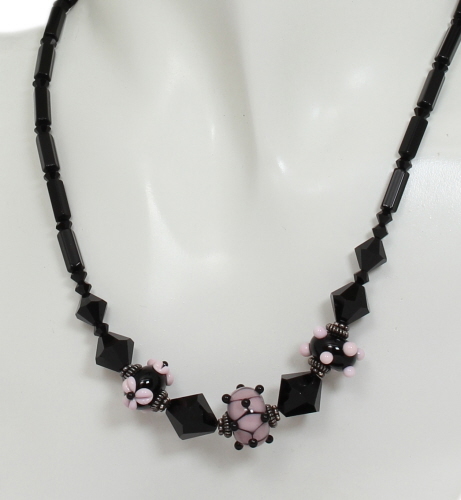 Jet black Swarovski crystals, individually handmade lampwork glass beads in pink and black and sterling silver findings are the focus of this beaded necklace. Lampwork glass beads created by Bindy Lambell, The Mad Beader. 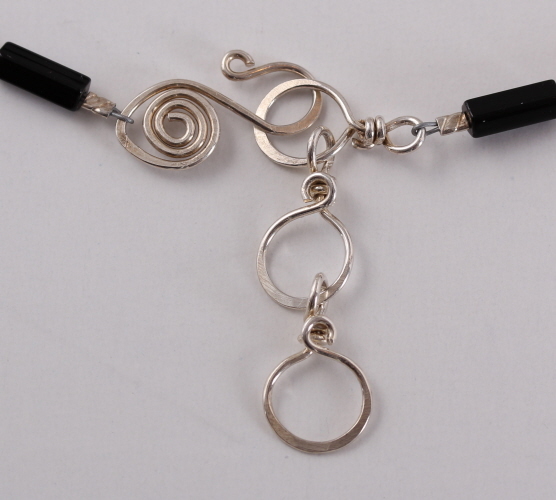 Necklace clasp and links are handmade from 18 gauge round, sterling silver wire, making the necklace adjustable from 16½ to 17⅛ to 17⅞ inches in length. 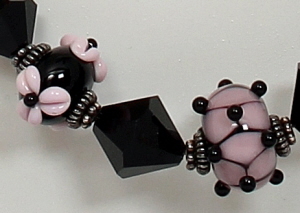 Earrings measure 3 inches from top of earwire to bottom of dangle and weighs 0.1oz each. Earrings are available as an additional purchase.